Ultimately, the features that make Bastion remarkable are intimately connected to its presentation, be it in the unique manner it chooses to broadcast its plot or in its visual and musical splendor. And those are, in the end, the traits that are bound to deeply mark those who play it. Still, below that shiny surface, lies a quest supported by very strong mechanics. In injecting the options and customization usually available in role-playing quests into a combat system and progression style commonly found in hack and slash titles, Bastion strikes an engaging balance between action and strategy. And although its core does carry a high degree of simplicity, it succeeds in dodging the traps of repetition thanks to how it is always building levels around different scenarios that slightly affect gameplay. For those reasons, even if its graphics and narration will be the strongest memories players will have regarding the game, these two elements are likely to work as hooks that will bring to the surface delightful recollections of adventure and combats. Therefore, it is unfortunate that The Legend of Zelda: Four Swords Adventures is so frequently overlooked. Unquestionably, the reasons behind that obscure character are perfectly understandable. After all, it is a relatively straightforward and low-key 2-D adventure released on the same console, and right in between, two excellent tridimensional giants of the franchise; and it is a game whose very best state – that is, its multiplayer action – can only be experienced through very complicated means, which involve finding four Gameboy Advance systems and the cables that connect them to the Gamecube. However, below that simplicity and those marginal complications lies a quest that is still a lot of fun even if tackled as a single-player campaign. It is true some of its production values are a bit lackluster when put under a comparative light alongside other The Legend of Zelda installments; and it is equally clear its gameplay stumbles in a couple of areas. 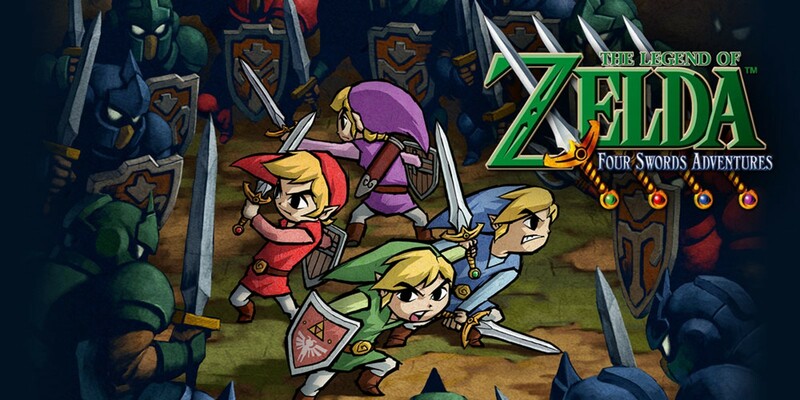 Yet, its surprisingly varied stages and, especially, the way it uses the availability of four different Links to uncover unique cooperative puzzles and frantic battles make The Legend of Zelda: Four Swords Adventures very enjoyable. Castlevania: Harmony of Dissonance does have a couple of issues that make the size and complexity of its scope, which are undeniably its biggest qualities, not be as thoroughly delightful as they could have been. 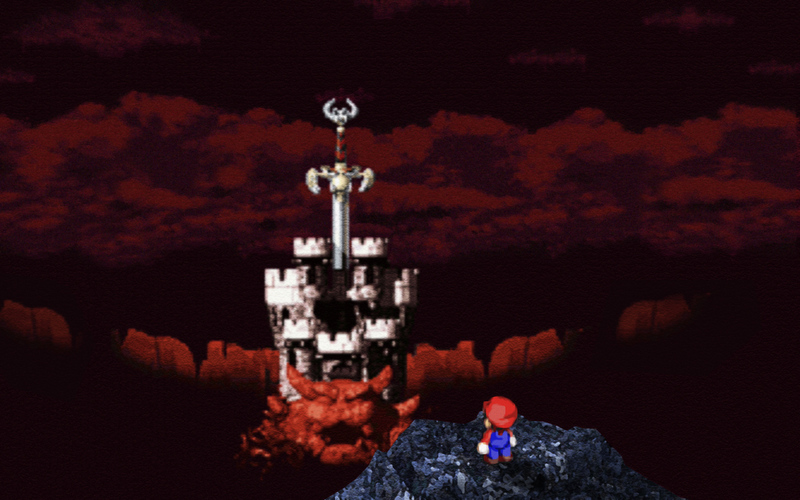 Still, by implementing punctual improvements in areas where Circle of the Moon was lackluster, and by embracing the intimidating value of its twin castles and turning the navigation of its map into its biggest source of challenge, the game succeeds in presenting a very satisfying and somewhat original take on the non-linear facet of the Castlevania franchise. Due to that trait, Harmony of Dissonance is bound to enchant anyone with a love for meticulously exploring a large map and using their wits to figure out a world that is itself one massive puzzle. To anyone else, though, its abundant intricacy, its frequent backtracking, and the long distances it sometimes forces players to traverse may be a bit too much. The punctual flaws that it displays in the main components of its fabric turn Circle of the Moon into a Castlevania installment that is good, but not great. The transplant of the Symphony of the Night formula into a portable is, in a way, a success, because the marriage of non-linear exploration and RPG elements makes traversing Dracula’s fiend-infested castle an appealing experience filled with discoveries, secrets, challenge, and unguided progression. However, the game could have certainly been more careful with the way it handled its elevated level of difficulty, its visual presentation, and the implementation of the central gameplay mechanic that it builds to call its own. 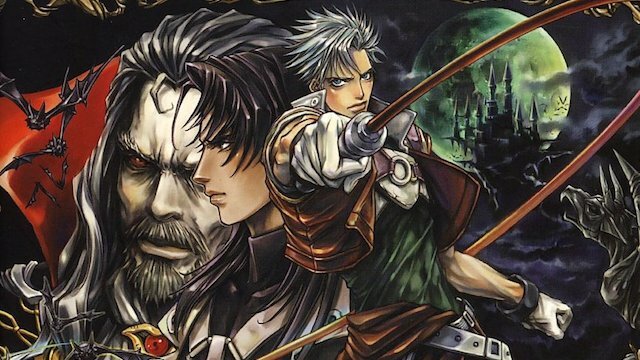 With those problems in mind, Castlevania: Circle of the Moon cannot be universally recommended, as the Game Boy Advance itself holds a couple of entries of the franchise that are easily superior to it. Nevertheless, there is great enjoyment to be found in its imperfect Gothic quest if one has fondness for lack of linearity, is able to ignore its shortcomings, and can deal with some moments of grinding. As such, Rayman 2: The Great Escape is a flooring oddity of the Nintendo 64 days. During a time when most platformers and adventure games had their sights so deeply set on taking advantage of the grand environments supported by cutting-edge hardware that they ended up, positively, straying away from the genres’ origins, Ubisoft went the other way. With The Great Escape, the company opted to build, in the recently discovered 3-D realm, a quest that was open to the new opportunities unearthed by the latest technological developments, but whose main concern lay in being simple and old-school. In that regard, Rayman’s second adventure was certainly not alone, for many were the games and studios that tried to explore that interesting middle ground; however, arguably, none of them did so as well as the limbless hero, because the variety, quality, level of polish, and production values contained here are nothing but extremely rare. And propelled by those attributes, The Great Escape feels gigantic, blasting into the pantheon of the best games of its era and standing out among them for using the full extent of its energy towards being straightforward and fun rather than employing its ambitions in matters of size and scope. 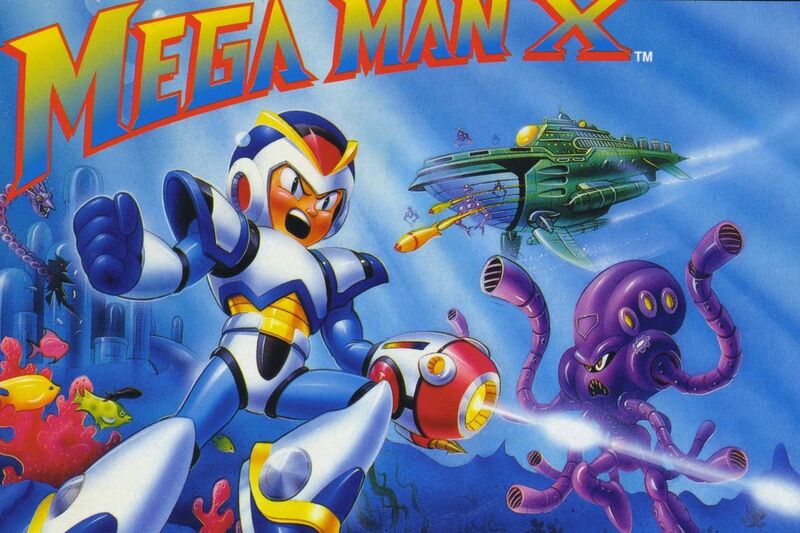 Mega Man X is the particular kind of game that, at the same time, succeeds because it is too similar to what came before it while also struggling for that same reason. Its levels are finely designed and its bosses are utterly memorable, supporting a gameplay experience that is undeniably enjoyable; however, as the franchise was leaping between generations, it is partially disappointing to see it remained strongly attached to its 8-bit roots. While many major gaming properties took advantage of the arrival of a new era to expand their reach, try out new ideas, or simply mature, Mega Man stood pat. With a decreased level of difficulty when compared to its NES counterparts, the value of the package of eight robot bosses it offered grew shorter; and although it does try some new tricks to give more depth to its content, a couple of them are not fully realized. Regardless of those shortcomings, though, Mega Man X is one of the Super Nintendo’s best combinations of action and platforming. Even if for those who are familiar with what came before it, the game may wind up feeling like it is too safe for its own good. South Park Rally, differently from most games that jump into the kart racing genre with the goal of dressing it up with a famous franchise and quickly extracting a good deal of money out of it, does try to tackle the gameplay style with a unique approach. Sadly, all the efforts that it makes in that regard end up being not only disastrous but also incredibly frustrating. Perhaps, if handled by a company that wanted something other than to get it out into the market as fast as possible in order to cash in, those ideas could have flourished into a likable experience. As it stands, though, playing South Park Rally is a miserable journey through thematic races that seem to have been designed to generate anger rather than joy. At least, however, its presence in the Nintendo 64 library serves the useful purpose of proving that good intentions can be smothered quite brutally by sheer greed; so much, in fact, that one has to look really hard to find traces of their existence amidst the mess.